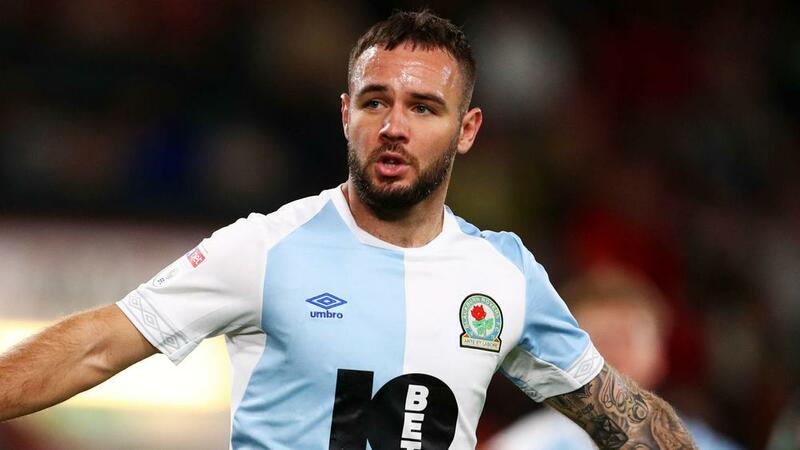 Substitute Adam Armstrong made one goal and scored another as Blackburn Rovers struck twice in the last four minutes of normal time to beat Millwall 2-0 at The Den. A drab contest appeared set to end goalless until Blackburn hit the front in somewhat bizarre fashion in the 86th minute, Armstrong's cross from the left eventually finding its way in off the face of Joe Nuttall. Armstrong immediately added a second to make the points safe and leave Millwall, who had won their previous four matches in all competitions, five points clear of the Championship's bottom three. Rovers leapfrog Stoke City into 14th and are six points off the play-offs. The only moments of note in a dismal opening 45 minutes concerned injuries. Millwall forward Tom Elliott was forced off after hurting his left arm in a first-minute challenge, while referee Robert Jones was another early casualty as he picked up an injury and was replaced by fourth official Gavin Ward. There was little improvement after the break, but Blackburn went ahead when Armstrong - a 74th-minute replacement for Bradley Dack - exchanged passes with Lewis Travis and delivered a low cross that was bundled in by Nuttall, after James Meredith's attempted clearance had struck team-mate Shaun Hutchinson. Blackburn's second goal came a minute later, Armstrong finding the bottom-right corner with a fine finish from just inside the penalty area.